The3dForce: The Challenge for the Democrats - Stop Lagging, Start Attacking! 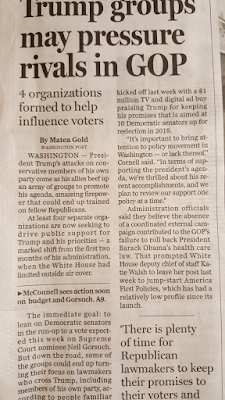 Today The Boston Globe wrote that just days after TrumpCare was sacked, at least four additional lobbing-type organizations had been founded to put pressure on all Senators who would not follow Trump’s agenda. Who funneled money for those new organizations? Erich Beach, co-chairman of the pro-Trump advocacy group Great American Alliance, which has already spent $3.5 million on ads promoting the Trump administration. Home Depot co-founder Bernie Marcus. 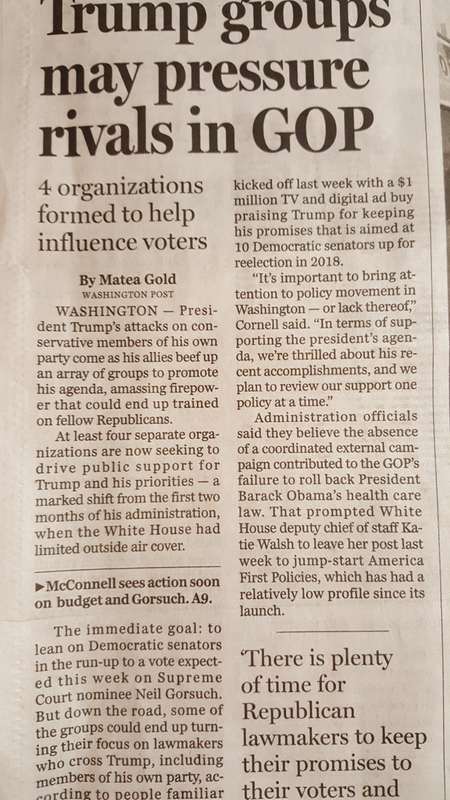 Many pro-Trump organizations, which previously acted individually, now seeking the way to collaborate, in order to amplify their influence. Why haven’t we seen a similar movement from anti-Trump organizations? 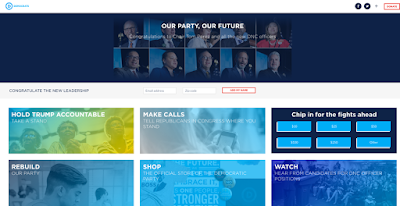 Take a look at https://democrats.org/ - supposedly the “central” source for everyone who wants to learn better about what democrats plan and do. It is in the absolutely pathetic condition. You click on “Hold Trump Accountable” and go to Get The Facts and the last post you see is dated December 7, 2016. The website offers a lot of disconnected and basically useless information. For example, if anyone would be interested in finding a list of super-PACs or foundations, or other organizations which support Democratic agenda, which provide funding to Democratic committees of various levels, that information is not provided. I have already written (http://www.gomars.xyz/op.html) and talked in a video (https://youtu.be/OwzKlFpIt_E)about the importance of having coordinated various forces and efforts. What I see is that to any obstacle pro-Trump organizations react much faster and decisive than Democrats, who are lagging in – well – everything, including analytical, and organizational work needed to be done in order to build the formidable opposition. 1, 2, ..., the counting is already 9 but you are still on your back! Get UP! Time to fight! Time to through an actual punch! Do not know what to do? Start from calling Bill Maher and Michael Moore. Stop being afraid of thinking radically. Well, stop being afraid of thinking! It is better to think radically and act rationally, than think "rationally" and act cowardly. The problem is that the "new" Top Dems are actually same old same old Democrats who have been at the top of the party for a very long time. I have serious doubts those people are capable of thinking, seeing, and doing anything new.